Burnt Store Marina - This gated community has lovely homes in neighborhoods with single family houses, condos, and villas. 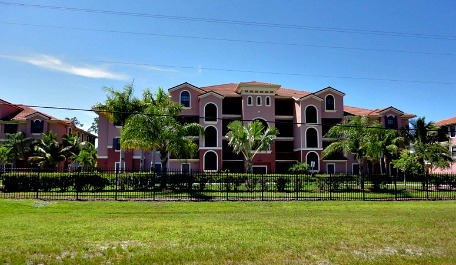 Not only that, the community has pools, tennis, a golf course, restaurant, and a full-service marina. 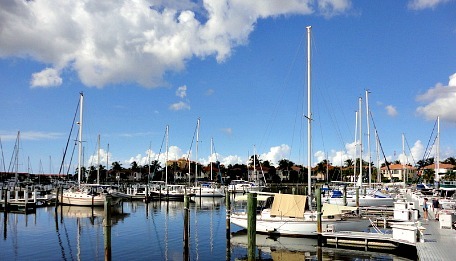 The marina is the largest in Southwest Florida, and one of the largest in the state, with deepwater wet slips, dry boat storage, and can accommodate boats up to 100'. The marina's basin is on Charlotte Harbor, the second largest estuary in Florida, and is within 10 miles to the Gulf of Mexico. The calm waters of Charlotte Harbor are considered some of the best waters to sail in. And, these waters also offer amazing fishing ........ snook, grouper, tarpon, redfish, cobia, trout, and more. You'll want to sail or boat to the gorgeous barrier islands of Boca Grande, Useppa, Pine Island, Matlacha, Sanibel, Captiva, Cayo Costa, Cabbage Key, and North Captiva. While docked, boaters can go biking, walking, or try out the 27-hole golf course. 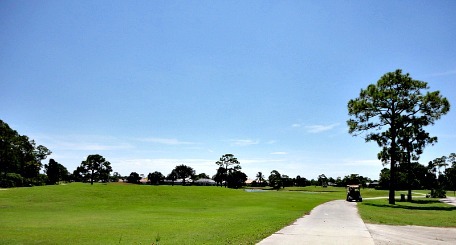 The golf course is open to the public and they also have a pro shop, community center for events, and the Linkside Cafe. The cafe is open for lunch and on Tuesday evenings during the summer, Monday - Saturday. They expand the menu and also serve breakfast during season. For more informartion and to find out about having private parties, call (941)639-4151. 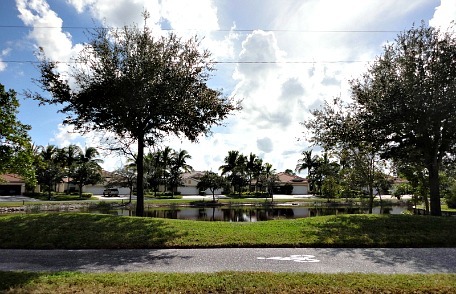 Beautiful homes are available for year-round residents, snowbirds, or vacationers. There are many styles and options ...... so take your pick from single-family homes large and small, condos in low and high rises, and villas. 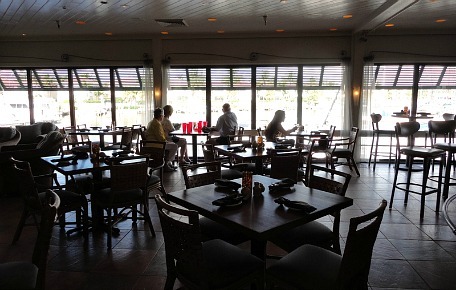 Even if you don't live there, you must go to Porto Bello Restaurant, which is on the marina. Just let the guard at Burnt Store's front gate know you're going to the restaurant and they'll give you a pass to get into the community. 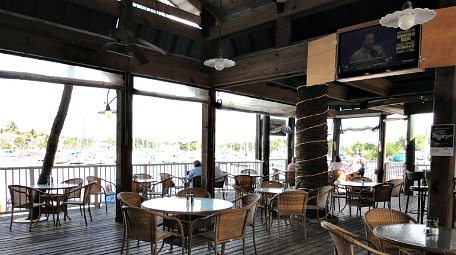 Dine on casual fare with amazing views of the marina, either inside, or outside at The Deck. We went for lunch and had some pretty tasty sandwiches. 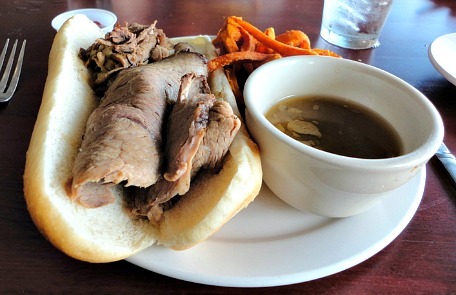 I had the French Dip and it was so good! They also serve appetizers, salads, soups, pasta, entrees, and pizza along with live entertainment. Next to Porto Bello is a ship's store called The Water Cooler, which serves breakfast and lunch from 6:30AM-4PM, and offers catering. To find out how Burnt Store Marina got it's name, go to my Brush Fires page. 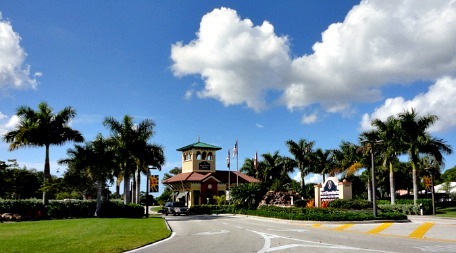 Located on Burnt Store Rd, the community is on the border of Cape Coral and Punta Gorda.